Comes after Trump's repeated calls for a wall between Mexico and the U.S.
Donald Trump has been left fuming after the PGA pulled a tournament from his Miami golf resort and moved it to a course in Mexico. 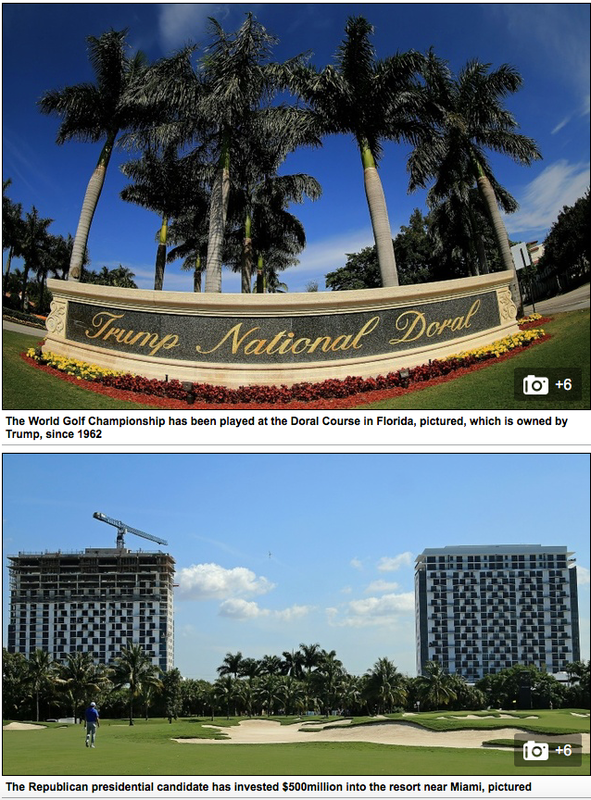 The Republican presidential candidate owns the Doral course in Florida which has hosted a World Golf Championship event each March since 1962. However, PGA Tour commissioner Tim Finchem that the event would be moved from the billionaire's course to a venue in Mexico City.